ORLA CONVENTION: Register Your Team Today! Mentorship v. Management (Keynote) – Now more than ever, employees are looking for leadership that supports, encourages, and gives them the tools they need to create an environment that allows them to grow and make an impact. Designed to inspire management and corporate leadership, this keynote will help you understand the “why” of mentorship and that every employee is just one success story away from a caring somebody. Top 10 Workplace Law Things To Know For 2019 – The world of labor and employment law never stops turning and big changes are right around the corner. What do you need to know to stay out of legal hot water in 2019? This timely session will cover pay equity, predictive scheduling, immigration, workplace safety, and much more. Mastering Yelp For Your Business – 91% of consumers turn to review sites to determine if a local business is a good business. Online reviews are the reflection of how you satisfy your brand promise. Learn the steps you need to take to master your online reviews, avoid common pitfalls, and grow your business by focusing on your customers. 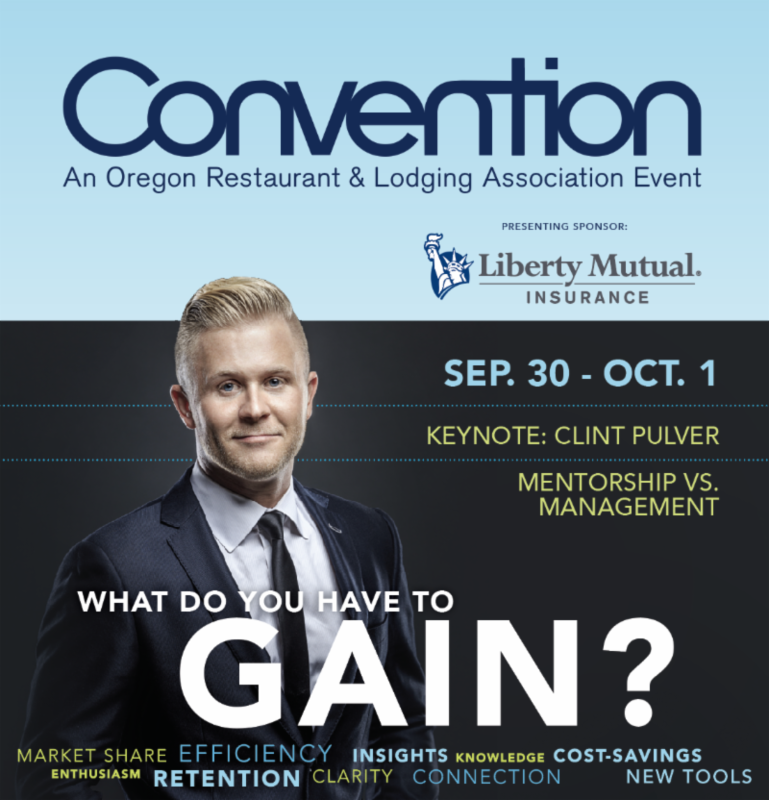 Call the Embassy Suites by Hilton Portland Washington Square at 800.757.4608 and ask about Convention rates in the ORLA room block. See Convention Program page for the full agenda and session descriptions. August 29, 2018 • 10-11:00 a.m. Learn how to start or improve efforts to reduce food waste at your restaurant or hotel. Understand where food waste is coming from, why it is happening and how you can create a plan to make food waste reduction an everyday part of your operation. Participants can access tools and resources from Hotel|Kitchen created specifically for the hospitality industry. Despite low unemployment, employers are still challenged with finding employees. Learn best practices for attracting and hiring employees in an environment where there are more jobs to be filled than people readily available to fill them. Discover untapped resources for building your talent pipeline and hiring from a diverse workforce. Expert panel includes representatives from HR Annie Consulting, WorkSource Oregon, Exceed Enterprises, and SBDC/ Veterans Resources. Previous Post: « August at Ray!